Here at Hollagully, we service recording artists, podcasters, ad agencies and multimedia producers from around the globe. Browse through the websites of some of your favourite recording studios and you’ll discover many of them are now offering their services to international clients through simple cloud-based or peer-to-peer file sharing. With remote services becoming easier to offer, some music production agencies outsource certain jobs or tasks to both local and international freelancers without any face-to-face interaction at all. So whether you’re the music production studio or the freelancer, we’ve gathered some of our favourite tools that simplify remote collaboration with audio clients and freelancers, keeping the back-and-forth fluid and to a minimum. Audreio is both a plug-in and mobile app that communicate with one another allowing you to stream and record audio from your DAW right to the app on your mobile device. As it is highly likely that whatever you’re working on will be listened to from some sort of mobile device, Audreio makes it easy to check your mix from the device most of your audience will be listening from without having to bounce or transfer files. So how does that help you service clients remotely? Have your client download the free Audrieo mobile app and they can then stream a mix, an edit, or any other changes you’ve made to the music in almost real time. There is a small charge for remote connections of only $.010 / minute (or lower depending on the number of minutes purchased). This is a miniscule charge when you consider the amount of time saved on bouncing and sending files, waiting for feedback, and the multiple times this process could be repeated. From the app your client can download the file, record it into their DAW, comment, make changes and send it back, all from within Audrieo. 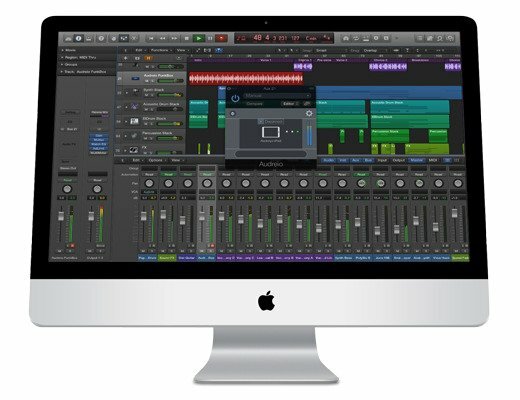 The plug-in is a reasonable $25 (AU, 640bit VST2/VST3, and AAX for both OS X and Windows, and the app is free for all iOS devices. 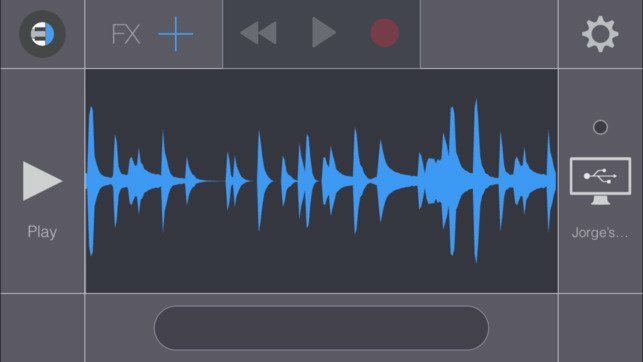 Here’s a great iOS tool not only for remote-working audio engineers but co-writers, music producers, and podcast producers as well. Notetracks combines an advanced audio player with powerful note-taking tools to make remote collaboration straightforward and visual. 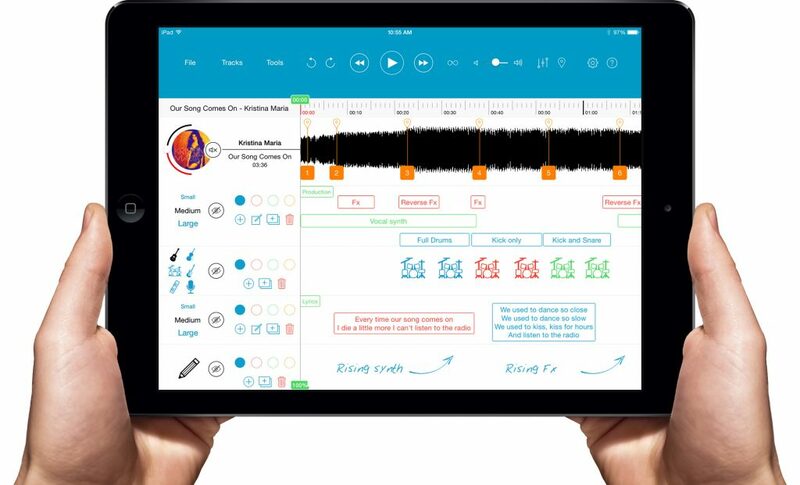 The app displays your song or episode along a timeline and allows the user to insert markers with notes or instrument icons at select points for your collaborator to see and review. This helps reduce the amount of files sent back and forth with your client or collaborator. Notetracks allows you to record additional audio over top of the inserted audio should a user wish to add a more detailed note or suggest any further addition to the production such as a lyric or harmony. A session can be easily shared with other Notetracks users to review and modify from within the app and sent via Dropbox. Users will find the Notetracks interface incredibly intuitive and straightforward. It’s an effective and fun way to save time on any remote audio-related work and costs each user only a dollar! 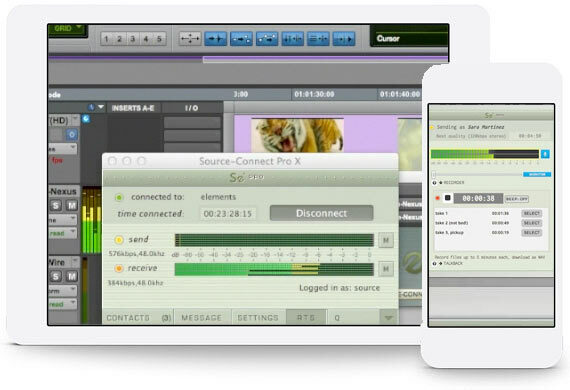 Source Connect is the flag-ship remote recording software from Source Elements which lets sound and film professionals work with clients and talent all over the world in real time. Musicians, podcasters, voice actors, journalists and the like are able to record or be recorded in perfect sync with simultaneous recording of both sides via integrated AAX, RTAS, AudioUnits and VST plug-ins. The engineer and talent can communicate seamlessly through the app that offers several features which guarantee perfect recordings even if their are dropouts due to bandwidth problems. Source Connect has been available in earlier forms as far back as 2005 and even today still feels like a offering from the fourth dimension. As artists and talent have more and more options for great-sounding affordable microphones, engineers can drastically reduce overhead cost and hours with the added bonus of working from their tropical winter getaway. By now you’ve probably already heard of the godsend that is Sonarworks and if not then you’re in for a treat. In short, Sonarworks is studio monitor, room and studio headphone calibration software that addresses the sonic anomalies of your playback devices and your room to give the listener the most genuine and flat playback of what’s really going on in the mix. Looking at the frequency response of your headphones or monitors, you’ll see certain peaks and valleys along the spectrum where they either favour or lack particular frequencies. 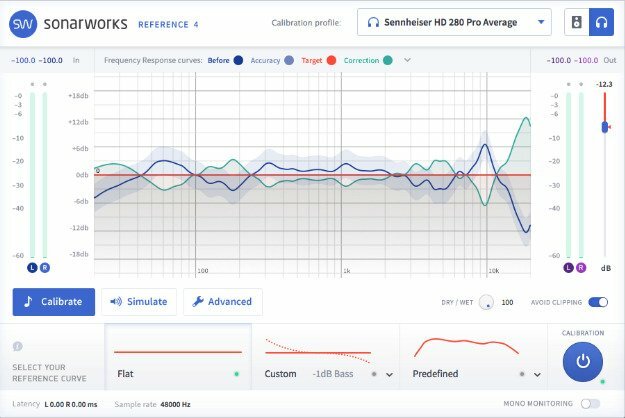 Sonarworks knows the frequency response of most of the major models of headphones and monitors and calibrates the output of your model to compensate accordingly for their bias. In addition to the adjusting your monitor frequency response, Sonarworks includes a XREF20 measurement mic which analyzes your rooms acoustic anomalies presented from the listeners sweet spot and takes them into account while producing your playback calibration. So if you’re mixing on the road or from an alternative location, Sonarworks will help ensure your playback is an authentic representation of everything in the mix; an essential for remote-working audio engineers. Gobbler is a subscription marketplace for pro-audio plug-ins that offers a free cloud storage and collaboration feature called Workspaces. Workspaces allows you to easily upload any session from Logic Pro X, Ableton Live 9, Avid ProTools 11, PreSonus Studio One, and Final Cut Pro X to be stored. Once your session is added to a Workspace, Gobbler will keep the session updated with all changes necessary changes applied. Each update is saved as a version, allowing you to access previous versions of your session. To add your collaborators to your project, insert their email address in the Manager panel to send them an invite. Collaborators will also need the Gobbler app to return the session to you in Gobbler. If you wish to simply send files to a recipient who do not have a Gobbler account, you can select the file of unlimited size that you wish to send, select their email, and they’ll receive a download link in their inbox. A feature called Gobbler Collect ensures that all files related to the session, whether from your computer or an external drive, are included along with the session in a labelled folder. Should you be working on a session from two different locations, say your home studio and work studio, have Gobbler installed on both and create yourself or business email as a collaborator. Download the session from your other computer, continue working on it, re-upload it when complete to the designated Workspace, and voila! Resilio Sync is another application that allows for remote collaboration across multiple devices using peer-to-peer BitTorrent technology. Resilio claim their application is 16-times faster than cloud-based alternatives. Simply add your project folder to Resilio and you’ll get an option to share the folder with collaborators via several linking options and permission settings. The collaborator will download the file and from then on, all work done to session will be synced into Resilio. There are no further downloads of the folders required and all additional files will be added to the synced folders. As you’d probably expect, if one collaborator is using tools or plug-ins that you don’t have, you will not be able to access them on your end. Consider making a practice of having the collaborator print all of these tracks into the session with all of these committed plug-in parameters activated. 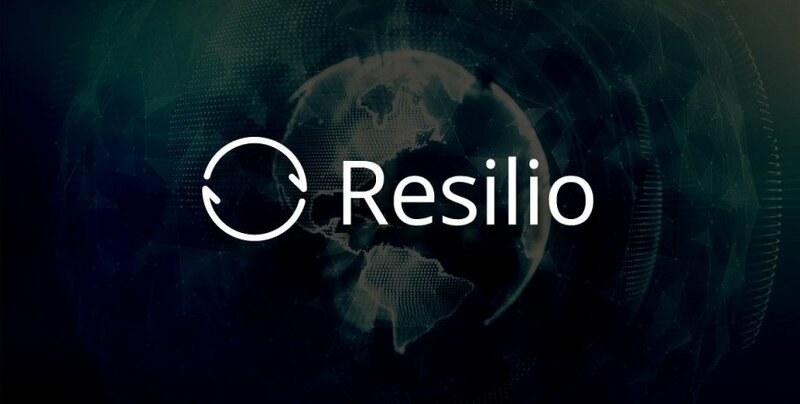 Resilio offers several affordable payment structures tailored for personal use across devices or business use among multiple collaborators. This makes working on projects between your home and work studio easy. If there are any effective tools that you’ve been using that allow you to do your best audio work remotely and deserve to be on this list, please include them in the comments below. We’d love to check them out and share!